When installed properly, insulation dramatically reduces your energy consumption and bills. So, don’t settle for Band-Aid solutions; invest in quality home insulation services. Turn to Ultimate Radiant Barrier & Insulation today — we’re the leading insulation contractor in Houston, boasting more than a decade of unparalleled services. Ultimate Radiant Barrier & Insulation specializes in spray foam insulation, fiberglass attic insulation, and radiant barrier foil installation. Our services cut energy consumption and expenses. We also install solar attic fans that let you harness solar energy to reduce bills further. Lastly, we offer insulation removal services to homes with old, damaged, or inefficient insulation. Our team replaces them new and effective insulation that lasts a long time. Not only do these services make your home more energy-efficient, they make it more comfortable, too. Your family doesn’t have to contend with the sweltering Houston heat or the cold winter. Your home’s insulation protects you from the harsh weather. Cut your energy bills and make every day more comfortable. Contact Ultimate Radiant Barrier & Insulation for your insulation needs today. Every year, Houston homeowners are throwing away thousands of dollars on unnecessary cooling and heating costs caused by faulty attic insulation! In fact, the lack of proper roofing insulation and ventilation can lead to temperature spikes of up to 25%. This increase in the ambient temperature inside your home causes your air conditioning system to compensate for the excess heat – forcing it to work twice as hard and consume more energy. Given Houston’s harsh, subtropical climate, your home is exposed to considerable heat from the sun. This accounts for much of the heat you experience indoors. 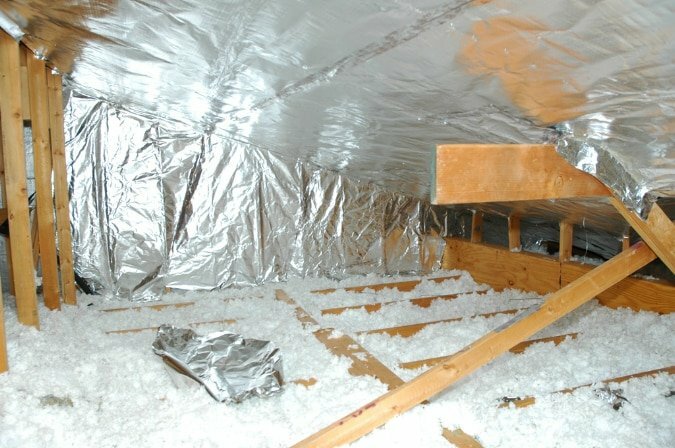 Unfortunately, regular attic insulation alone cannot completely prevent heat from being transferred into your living space. A significant amount of heat is bound to reach your home. Because it is made of aluminum, radiant barrier foil works by deflecting most of the heat that comes in contact with it. Aluminum has a heat absorption rate of 3%. This means that the remaining 97% of the heat is deflected like the reflective insulation foil we provide. 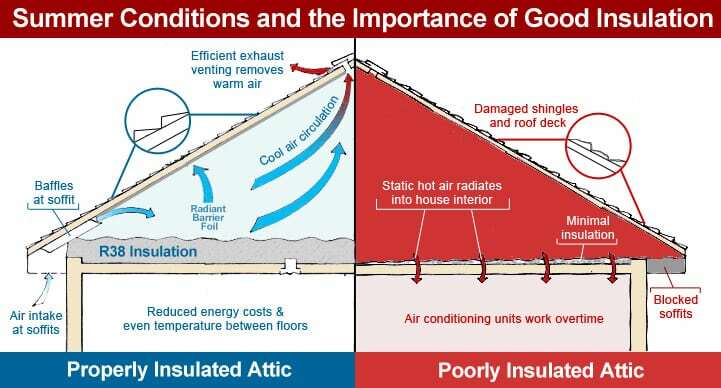 Materials with lesser densities conduct less heat, therefore the heat absorbed by the barrier is harmlessly dissipated before it reaches other parts of your attic. The same principle applies during colder seasons. Only this time, the heat generated by your radiator is deflected back into the house. Because the heat has nowhere to go, your home stays warm. The indoor temperature remains constant, and you consume less energy. Convenience – There is no need to take out your existing attic insulation. 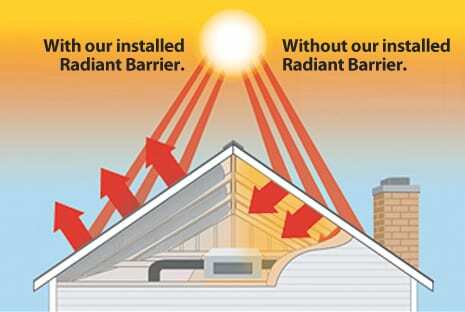 Radiant barrier types of insulation insulation work with most types of insulation. Comfort – Enjoy maximum comfort all year round. You will immediately notice the change in temperature – your home stays cool during summer, and comfortably warm during the cold months. You’ll also avoid the spikes in humidity caused by inconsistencies in your home’s indoor temperature. 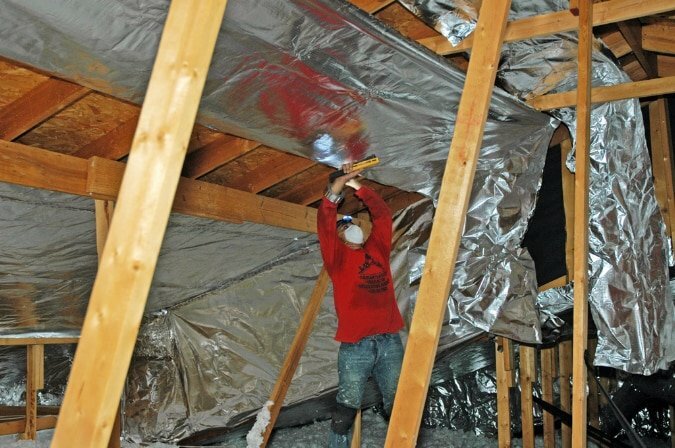 Hassle-free installation – No hassle: radiant barrier foil is laid over or stapled on to the roofing joists. Installation generally only takes about a day to be to be completed by a professional. The joints between applications are then taped to seal the seems between each section. Durability – Unlike regular insulation, radiant barrier foil will not corrode, rot, or decay. Aluminum is also not susceptible to pest damage. In fact, it has been proven by multiple studies that aluminum can withstand up to 10 years of exposure to extreme weather conditions. Savings – Enjoy up to 40% savings on your cooling and heating bills. With hundreds of dollars worth of annual savings, the radiant barrier would have paid itself in a matter of years. Spray foam insulation is by far the superior solution for any home. It offers the very best protection from the elements and adds structural integrity to your home. This is an excellent solution to get your home insulated fast and easily. It is cost effective and can be blown in your attic in just a few hours. Batt insulation is tried and true. It has been around forever and works every time. This solution is also cost effective and is especially useful if you are adding a floor to your attic. Radiant barrier foil is installed to the joists in your roof. It's main purpose is to deflect the Sun's harmful rays and keep that unwanted heat out of your attic. If you have a home with insulation that is over 10 years old, or has mold and critters living in it, our removal services will give your attic a clean slate so you can properly insulate that space. Solar attic fans to remove the heat from your attic space and blow it outside of your home while using only the power of the sun to power the device. 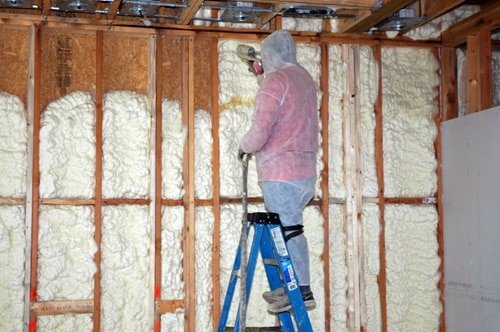 Offering both closed and open cell foam insulation, Ultimate Radiant Barrier & Insulation is the leading residential insulation contractor in Houston, TX. We’re the company to call if you want this type of attic insulation installed in your home. Spray foam insulation completely seals your attic and/or walls from the outside providing structural integrity to your home as an added bonus. The R-Value of Spray foam is phenomenal and the difference is literally night and day. Spray foam insulation is by far the top of the line treatment for your attic. Not only does it provide you with the ultimate insulation barrier, but it adds structural integrity to your roof system. 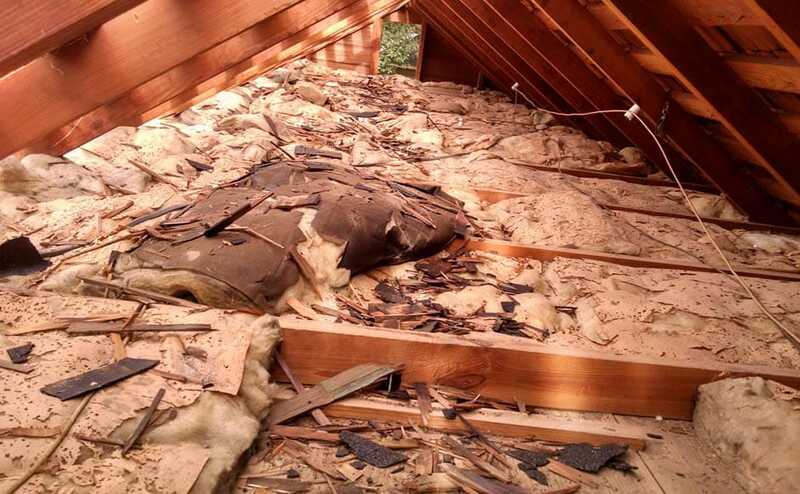 This type of attic insulation is blown in as well and can be added on top of existing attic insulation that may have settled over the years or can be installed from scratch after an insulation removal service has been performed. This is an economical and reliable insulation solution. In addition, although it doesn’t fall in with blown in insulation, we can also install fiberglass batting insulation to replace your old rotted attic insulation. One of the most widely used forms of radiant heat barriers in the country. Radiant barrier foil insulation is very affordable and generally can be installed in about one day. That’s why it’s a favorite among homeowners and contractors alike! Radiant barrier foil an be installed in a multitude of ways, making it ideal for quick home remodeling projects or roof repairs. This material will NOT interfere with any existing insulation and roofing components. Once it’s installed, you’ll barely notice it’s there. Radiant Barrier Foil reflects 97% of the Sun’s heat EVERY time! What can we say about solar attic fans, but wow. They are self sufficient, getting all of their power from the Sun and detect when your attic temperature is getting high. They kick into action and ventilate the heat from your attic keeping the attic cooler so the other parts of your attic insulation system can work more efficiently. 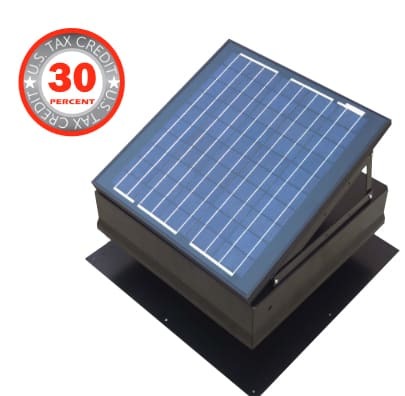 With a 30% tax credit, why wouldn’t you have a solar attic fan installed in your home? Look, I’m sure our competitors in and around the Houston, Texas area can all install attic insulation and they probably do a decent job. But we’re The Cadillac of insulation companies. If you care about the little things — like having professional, well-dressed, proud, blue collar insulation pros show up to your door 15-minutes early… as opposed to Joe the insulation dude, who mopes to your front door 30 minutes late, looking like he just came off a three day bender, shirt screaming, “Joe, I don’t fit you!”… then you should definitely call us at 713-805-0394. We are a professional Houston residential insulation contractor. We show up when you need us and get the job done. Like most things in life, you get what you pay for. Attic insulation is no different. 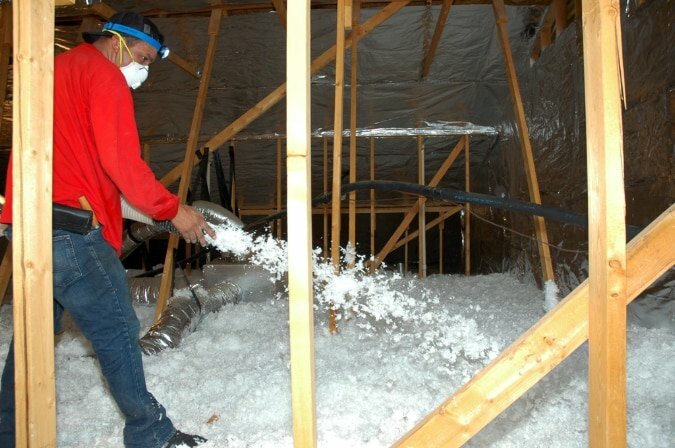 We hear from our Houston customers that so and so is offering insulation cheaper. Insulating your home is an investment in both your home and its value down the road. It is a product that will cut your energy costs by up to 40%. Say your monthly bill is around $200. A savings of 40% is $80.00! That’s $960.00 per year!! The bottom line is the insulation MUST do the job it is designed to do, otherwise, you’re just throwing that money out the window (literally) every month that your house continues with faulty or sub-par home insulation. Ultimate Radiant Barrier & Insulation is insured, licensed, and bonded. We make sure that all our projects follow the strictest of safety guidelines and safety procedures. With us, you can rest assured that your property is safe. Stop wasting hundreds or even thousands of dollars every year needlessly on excessive energy bill expenses. Ultimate Radiant Barrier & Insulation has the solution to all your heating, cooling, and Houston insulation needs. Call us today and find out how we can get you started with lower energy bills, a more energy efficient home, and a more comfortable lifestyle. We are here to answer any questions that you may have! 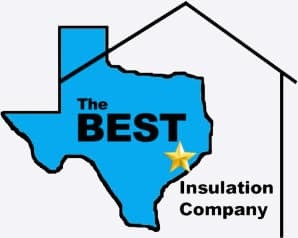 You may have searched for insulation contractor near me to find us, we are proud to serve the residents and businesses in Houston TX and we look forward to making your house or business more efficient with an excellent insulator to help lower your bills.